This one was done all by one of my best friends and mentors: Pedro Caicedo. 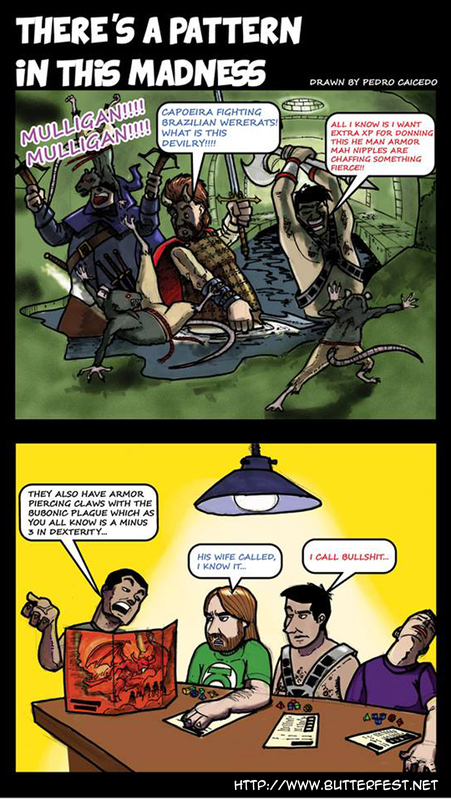 Pedro decided to take the story in an even weirder direction… where we all ended up at his place, playing DnD. The funny thing is that Niko ended up wearing a HeMan armor along the way. But, trully, what better way to wrap up an insane Dungeon Crawl than with a good old game of Dungeons and Dragons, no?